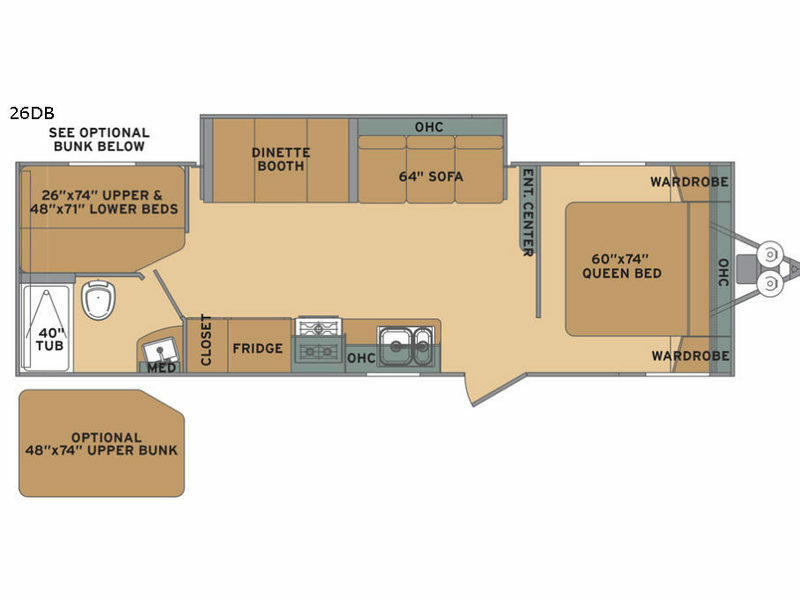 This Oasis travel trailer is a spacious unit that provides you with plenty of room to sleep eight people every night. Since the weather can be unpredictable, it is important to have enough room for everyone to get together inside when the rain is pouring down, which is exactly what you will find in this trailer. From the booth dinette to the 64" sofa, the living area has comfortable accommodations for you to sit or sleep because of the single slide that has been included.